Spottings of the wendigo have been reported in the forests of cold weather areas like Canada and Minnesota. The wendigo comes from Algonquian Native American folklore and is the result of some severe hunger pains. As the tale goes, he was once a lost hunter. During a brutally cold winter, his intense hunger drove him to cannibalism. After feasting on human flesh, he became a crazed monster, roaming the forest in search of more people to eat. Those who live in a warm climate can breathe easy; the wendigo is a cold weather creature, having been spotted in Canada as well as colder northern states like Minnesota. As the bitter frost is no longer a problem for him like was when he was a mere hunter, he is immune to even the harshest conditions. For a carnivore, he’s not the buffest of creatures. His skin is stretched tight across his bones, making them visible. Though he is said to be very large in stature at almost 15 feet tall, his body is described as skeletal and emaciated. This can be attributed to the notion that he is never satisfied with his cannibalistic urges constantly luring him to prowl for fresh victims. An oil painting of wendigo. It’s said that he also has massive eyes like an owl (“the better to see you with, my dear”) and razor-sharp large claws. While some say he is a relative of Bigfoot, others who say they’ve spotted him claim he looks more like a werewolf. The Algonquian people say that during the turn of the 20th century a number of their people went missing mysteriously. 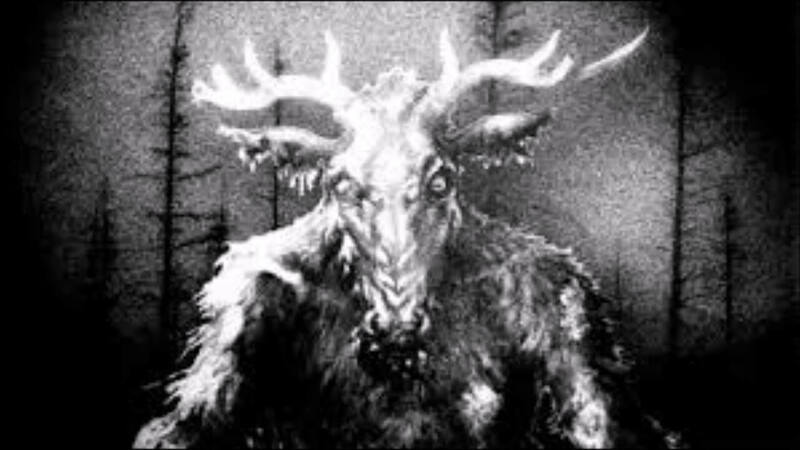 The Algonquian tribes attributed many of the disappearances to the wendigo, thus calling him the “spirit of lonely places.” A descriptive name, though not quite as catchy as wendigo. Another rough translation of wendigo is “the evil spirit that devours mankind.” This translation is related to the version of the wendigo that claims he has the power to curse humans by possessing them. Once he has infiltrated their minds, he can turn them into wendigos as well, instilling upon them the same lust for human flesh that he himself has. Different versions of the wendigo disagree on his speed. Some say he is unusually fast and can endure walking for long periods of time. Others say he walks in a more haggard manner, almost as if he is falling apart. But speed isn’t a necessary skill of wendigo. He doesn’t rely on catching and capturing his prey. Rather, one of his said traits is his ability to mimic human voices. He’ll use this skill to lure people in and draw them away from civilization, and into the desolate depths of the wilderness. Once isolated, he feasts. If you’re looking to spot the wendigo, you can try your luck in nearby forests. Though most of the reported spottings happened between the 1800s and the 1920s, with little-reported activity after that. Still, if the wendigo exists, he could still be out there, mimicking the voice of a person. After all, beneath the flesh-eating demon that is the wendigo, there just may be a human man who once was a hunter.